I’m convinced of a certain fact: that those people with children in my age group are members of the “cool parent” generation. When I was 16, my first concert experience was to see the then very huge (read: popular) Fleetwood Mac at the beautiful Performing Arts Center in Saratoga Springs, N.Y. Part amphitheater and part outdoor venue, SPAC made sure my initial rock show was spent shoulder to shoulder with a crowd of about 30,000 people. It was a fantastic night, and since my teenage crush at the time was singer Stevie Nicks, I would not have missed the experience, no matter what the size of the crowd. I had to find a way to get there on my own, though. There is no way my parents would have brought me. Fast forward to 2011, for something a little different. 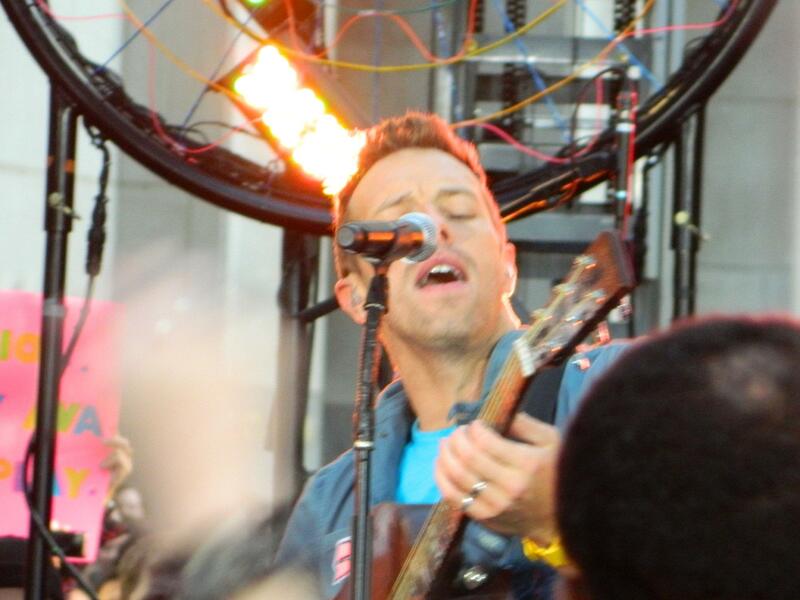 My wife Suzie accompanied my daughter to see Coldplay perform on the TODAY show in New York City. That’s three hours from where we live. And just to make certain that my daughter could see the band well enough, they spent the night before the show in the city. Not in a hotel, mind you. But on the street. For the better part of 9-10 hours overnight. Being October, it wasn’t exactly warm. And my wife didn’t get any sleep for about 36 hours. Initially, when she came up with the idea of taking the train to the city and doing this, I thought she was a little crazy. My thoughts of crazy eventually turned into thoughts of: well….why not? She showed the sacrifices a parent can make to fulfill a dream for their child. And have some fun in the process. When I watched the concert from the TODAY show live, I felt a little pang of jealousy. Seeing the massive crowd rock out to Coldplay hits like “Paradise” and “Viva La Vida”, I knew the effort the girls made was worth it, and that my daughter was having an experience she would never forget. While taking me to a rock show was something that my parents wouldn’t have done (their ears would have bled), they provided for me in many other ways. But I like the fact that my wife and I are young at heart, and can do things with our kids that previous generations would have passed on. I give my wife a ton of credit. I’m not so sure I would have stayed out all night in chilly temps, without sleep, to see a live concert that was six songs long, at best. In a way, it’s a great method to use to recapture those feelings of youth. Just after we first met over 20 years ago, Suzie hung out outside with a friend all night for the chance to score some Elton John tickets. I was working in my parents’ restaurant at the time, which gave me the ability to bring them some wine to keep their spirits up while they made some new friends waiting in line. In taking my daughter to New York, my wife showed Gabrielle that there is nothing like a great experience. While right now, as I’m writing this, some folks in this area are caught up in the Black Friday frenzy, our daughter already has an idea that your life experiences will always outweigh the accumulation of material things. Viva la vida (long live life) !! Remember when we were thinking of running away from home to see Kiss at The Garden?! I still didn’t see them till years later when the Pepsi Arena was here. Going to NYC to see a concert was such a pipe dream for me when we were younger. Now, it’s easy. Back then, the closest Kiss would come to this area was the Garden. They were so big, there was nowhere local that could hold the crowd. We have so many options for concerts here now its crazy. We had concerts in our rooms all the time, as long as we had “Alive”, right? God bless the 70s!! Tom Petty used to live or maybe still lives relatively close to my parents’ house. I used to see him at the drugstore occasionally. I remember getting excited that he used street names that I knew in some of his songs. My very first concert was Metallica. I was about 13 or 14,and went with my best friend and her DAD! Oh the fun. Suzie is a cool mom, indeed! And yeah, why not?! But like you, I’m not so sure I would have stayed out all night on the cold streets. 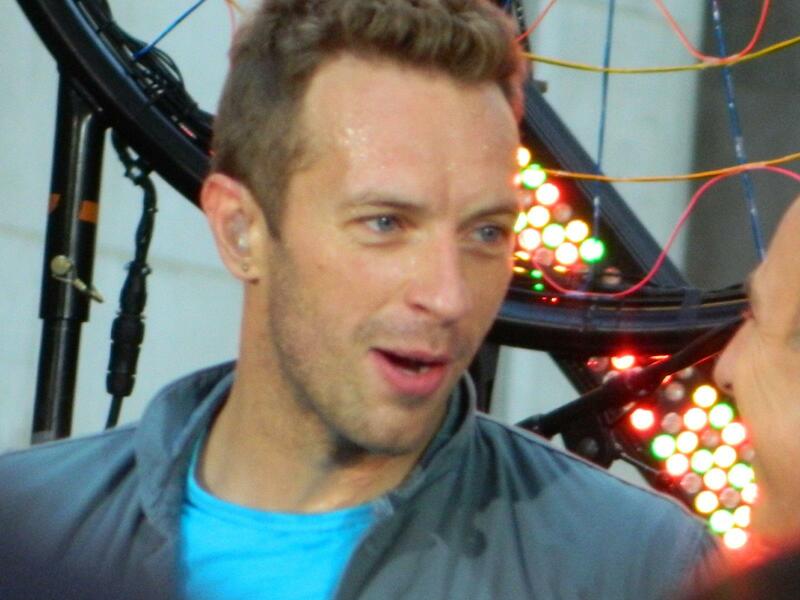 🙂 My youngest son is almost 12 and he loves Coldplay, one of his favorite bands. Your kids can lead you to some very fun times too. My kids motivated me to get into snowboarding. I did and still love it! A big, “YES” to that line! My mom and dad actually did take me to see my 1st concert. It was at SPAC and it was a very wet nite to say the least. As I sat inside , dry in the ampitheater with Tom Petty and the Heartbreakers, my parents sat under a shower curtain on the lawn. It was 1981, I still have the concert T ( actually Gab has it). So when it came to taking Gab to see Coldplay I never gave it a second thought. Cannot wait for them to hit the US, we will see a couple shows and Joey you are coming this time. Well done Joey, as usual!!!!!!!!!!!!!!!!!!!! Thanks Gail. I always appreciate you reading, and your support. My love to you and Uncle Chief, hope to see you soon!